« I discovered Repeat After Meal during my first trip in Montreal. Elsa’s cooking and learning french-class was all the way a positive experience. 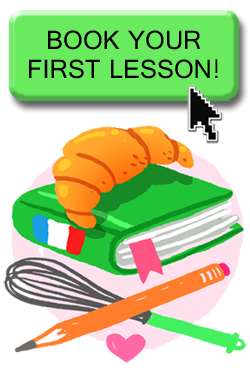 First of all : doing simple tasks, like cooking, while speaking french helped me activating my passive french vocabulary easier than usual. It made it fun to remember and associated words and sentences. The atmosphere was relaxed but with a real focus on learning. Combining an activity removes the tedious part of learning a new language and I’m surprised this isn’t everywhere.remember words and sentences. Spending time with Elsa in her kitchen has helped me to use my french in everyday situations.